The significance of nakedness is that they will not have any worldly ties to material belongings, even something as simple as clothes. 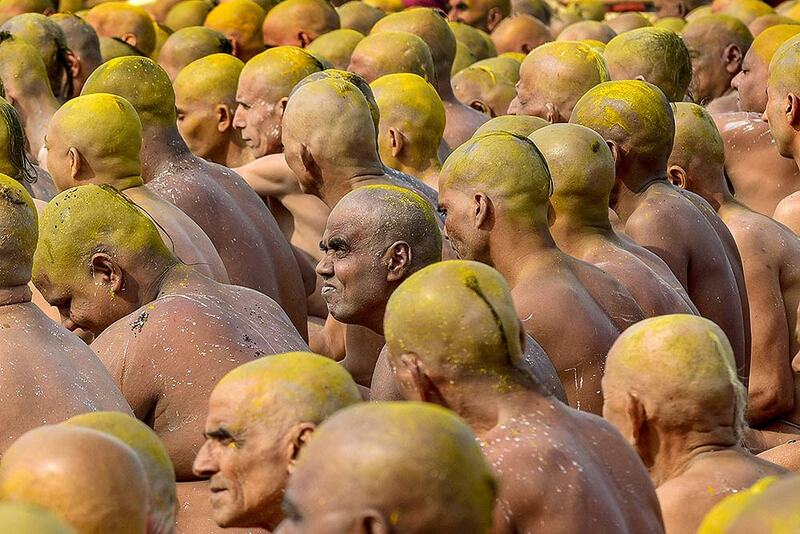 This ritual that transforms selected holy men to Naga can only be done at the Kumbh festival. 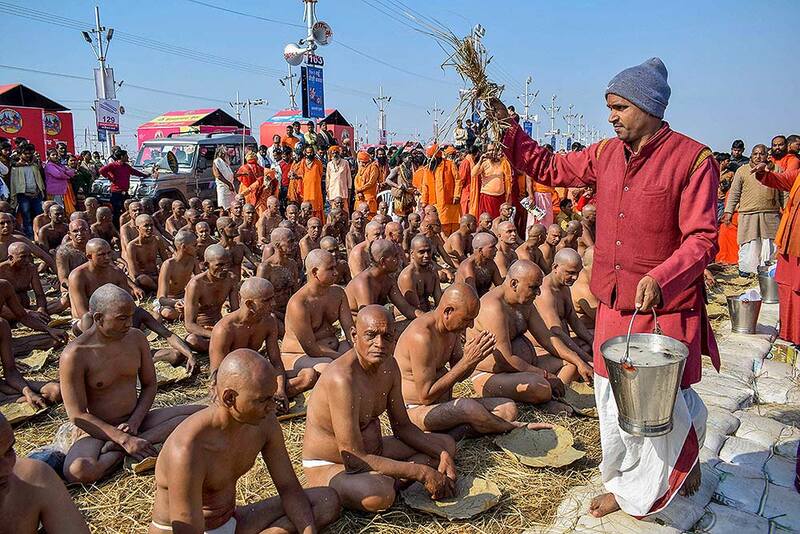 Holy men participate in rituals that are believed to rid them of all ties in this life and dedicate themselves to serving God as a 'Naga' or naked holy men, at Sangam, the confluence of the Ganges and Yamuna River during the Kumbh festival in Prayagraj. The significance of nakedness is that they will not have any worldly ties to material belongings, even something as simple as clothes. 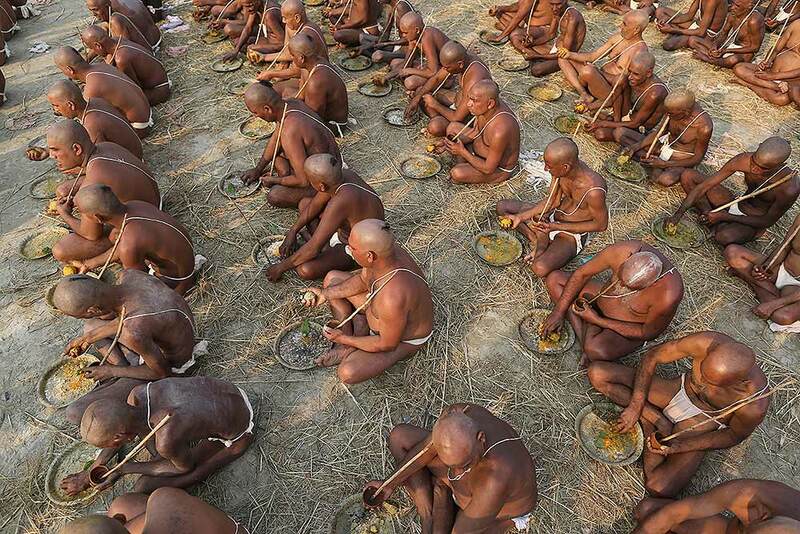 This ritual that transforms selected holy men to Naga can only be done at the Kumbh festival. 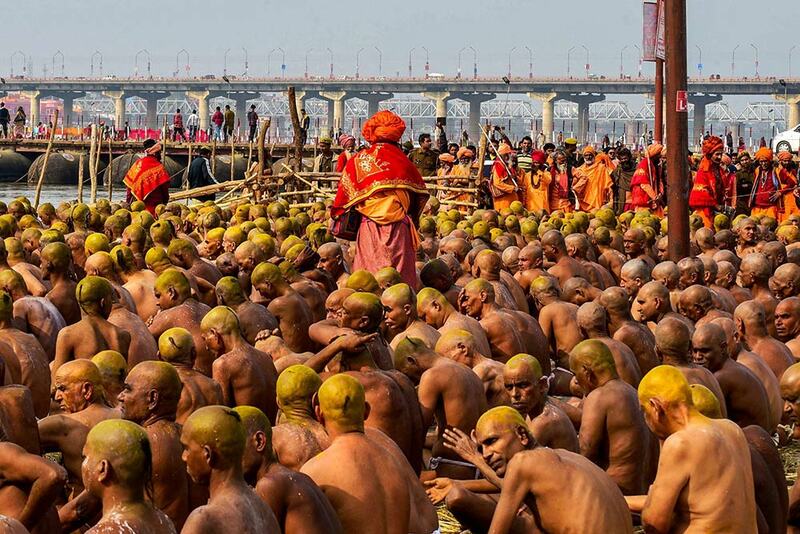 Hindu holy men participate in rituals that are believed to rid them of all ties in this life and dedicate themselves to serving God as a 'Naga' or naked holy men, at Sangam, the confluence of the Ganges and Yamuna River during the Kumbh festival in Prayagraj. 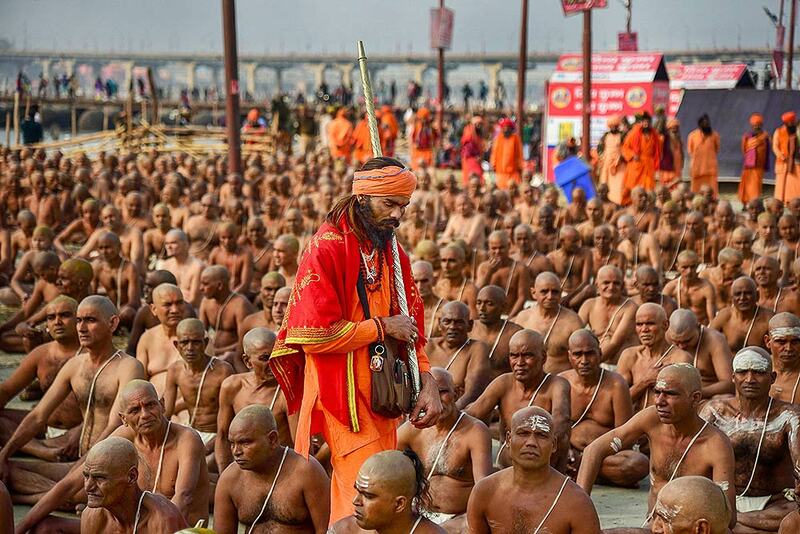 Newly-initiated 'Naga Sadhus' perform a ritual on the banks of the Ganges river during the ongoing Kumbh Mela festival, in Allahabad. 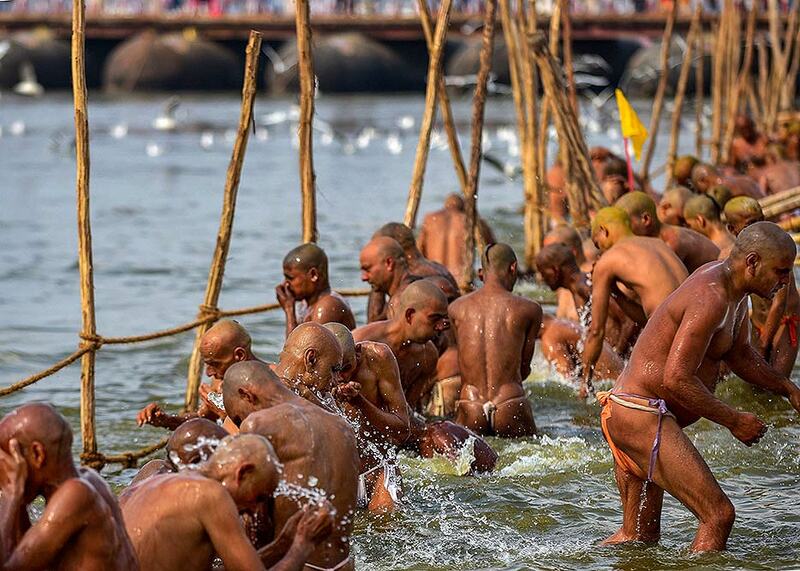 Newly initiated 'Naga Sadhus' perform rituals on the bank of river Ganga, during Kumbh Mela in Allahabad. 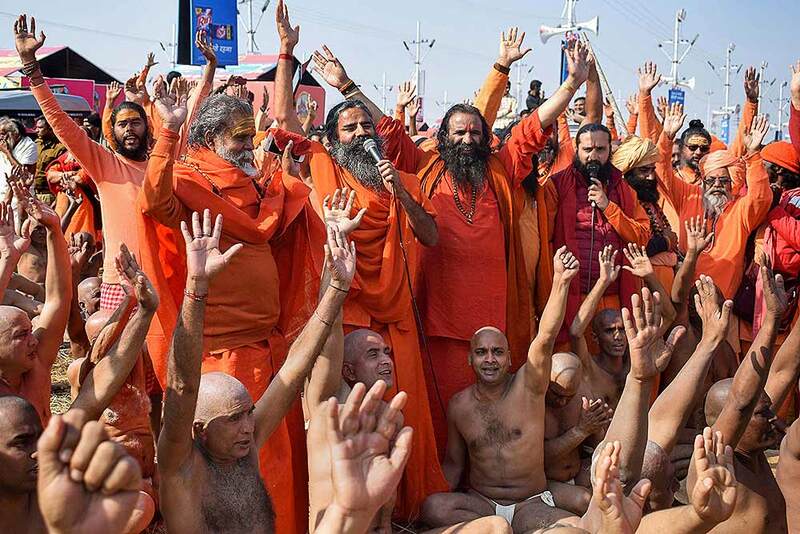 Yoga Guru Ramdev with Akhada Parishad President Mahant Narendra Giri and newly-initiated 'Naga Sadhus' on the banks of the Ganges river during the ongoing Kumbh Mela festival, in Allahabad. 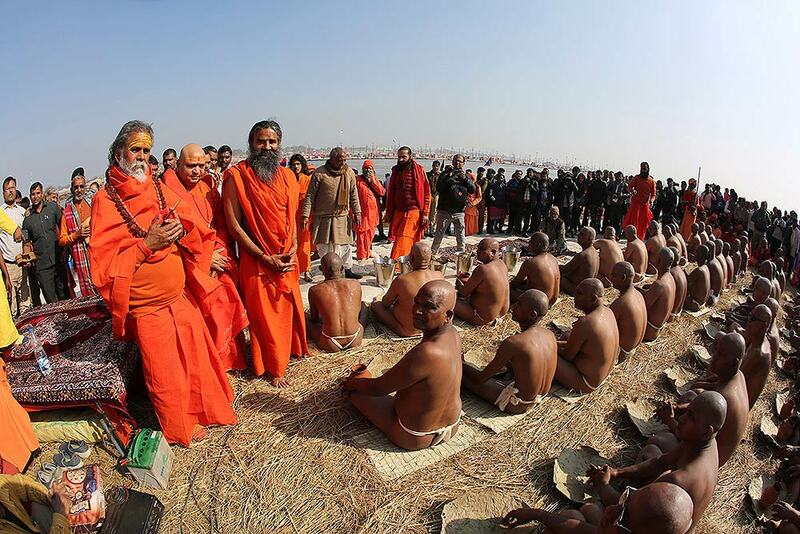 Yoga guru Baba Ramdev, third from left, and Swami Narendra Giri, left, President of Akhil Bharatiya Akhada Parishad attend a ceremony after Hindu holy men were initiated as Naga Sadhus at Sangam, the confluence of rivers Ganges, Yamuna and mythical Saraswati, during the Kumbh Mela in Prayagraj. 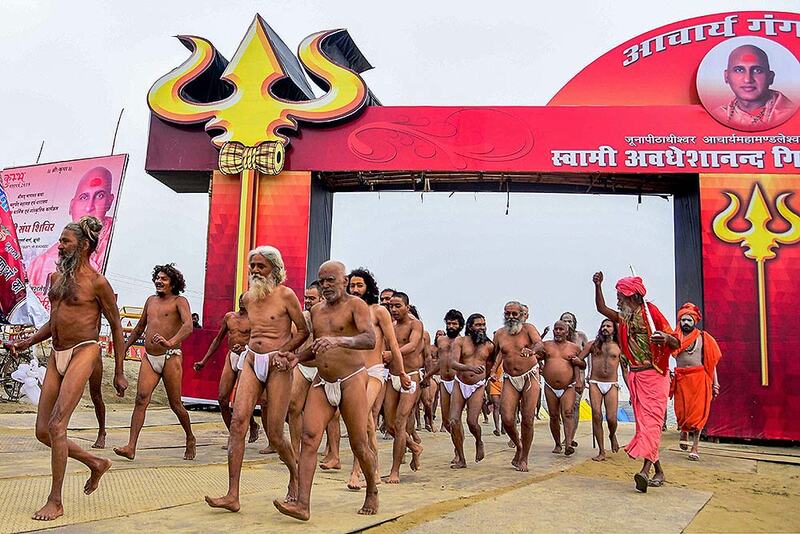 Newly initiated 'Naga Sadhus' arrive to perform rituals on the bank of river Ganga, during Kumbh Mela in Allahabad.